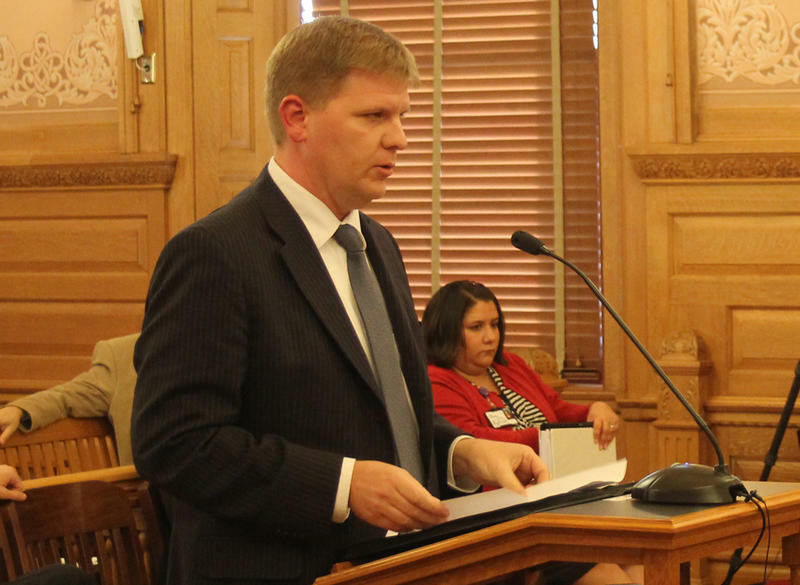 Kansas Budget Director Shawn Sullivan says that while a bond deal isn't under active discussion, it's a possibility should the state need a quick infusion of cash to balance the budget. A discussion that Kansas officials began last fall with representatives of a Wall Street banking firm about securitizing the state’s tobacco settlement could be resurrected if the state’s budget problems continue to worsen. Shawn Sullivan, budget director for Republican Gov. Sam Brownback, said while a bond deal isn’t under active discussion, it remains a possibility should the state need a quick infusion of cash to balance the budget. “I’m not going to deny it’s an option,” Sullivan said. But several key lawmakers of both parties say it’s not an attractive option, given that it would take at least 20 years for the annual payment to return to its current level. Sen. Laura Kelly of Topeka, the ranking Democrat on the Senate Ways and Means Committee, said bonding years of steady payments for a lump-sum payment would be an act of desperation. “I think it borders on fiscal malpractice,” Kelly said. Several key Republicans also expressed opposition to the idea, including Sen. Les Donovan of Wichita, chairman of the Senate Taxation Committee. Currently the state spends much of what it receives annually from the settlement on Children’s Initiatives Fund programs. In the current budget year, that amounts to about $45.9 million. But under the securitization plans outlined for Brownback administration officials last fall by representatives of Citigroup, the state wouldn’t receive an annual payment of that size until at least 2036. And if smoking rates decline faster than expected, it could take even longer for payments to return to that level. Kansas was one of 46 states that entered into a “master settlement agreement” with four major tobacco companies in 1998. The companies are required to make payments to the states in perpetuity, with original estimates putting the payments at $206 billion through 2025. Under a securitization deal, bonds backed by the state’s tobacco settlement revenue would be sold to generate an immediate infusion of cash. In exchange, the state would be required to give up some or all of its annual tobacco payments for about 30 years to compensate the bond holders. Jim MacMurray, senior vice president of finance with the Kansas Development Finance Authority, said Citigroup approached the state in October 2015 about a possible bond deal. The bank, which boasts of pioneering the tobacco bond market, outlined a couple of options during a presentation that Sullivan and KDFA officials attended. One option was called a “residual” plan. The other was labeled a “senior and subordinate” plan. Under the residual plan, Kansas would get less money up front but would continue to receive some amount annually, MacMurray said. “It’s called residual because the state would be expected to receive some residual cash flow” after paying bondholders, he said. If no securitization deal was struck, Citigroup projected the state would receive settlement payments of between $60 million and $70 million a year. Under the residual plan, the state would receive a lump sum payment of $474.3 million, but its annual payments would drop below $40 million until 2032. That’s because a substantial portion of the state’s annual payment would be diverted to pay bondholders a total of about $806.7 million, nearly double the amount the state would receive in up-front cash. The other option Citigroup proposed — the senior and subordinate plan — would involve Kansas issuing two series of bonds, MacMurray said. The senior bondholders would have the first claim, followed by the subordinated bondholders and then the state, he said. If tobacco revenues exceeded scheduled payments in a given year, the extra money would go toward paying down the subordinated bonds faster. “This has the effect of leaving the state without residual payments in the early years,” he said, though payments would later resume if revenues come in as projected. 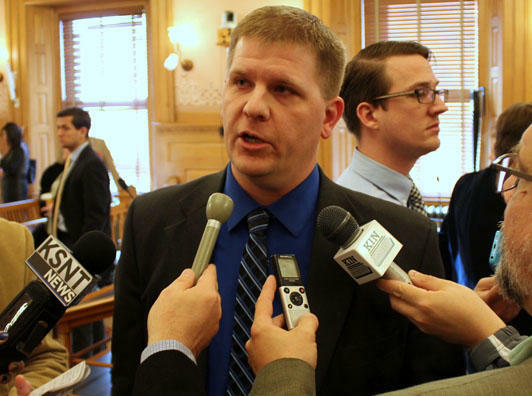 Under that plan, Kansas would receive about $782.5 million upfront. However, it would have to pay bondholders $1.2 billion in principal and interest. Annual payments wouldn’t resume until 2029. MacMurray said state officials have had internal discussions about securitization since October but haven’t resumed discussions with Citigroup or any other firm. He said moving forward with any securitization deal would require the Legislature’s approval. An investigation conducted by the nonprofit news organization ProPublica documented several examples of states entering into costly securitization deals. Rhode Island recently renegotiated a securitization deal to avoid a balloon payment that would have forced it to pay $1 for every 7 cents it borrowed in 2007, according to the report. And the repeated use of tobacco bonds by New Jersey officials to patch holes in the budget was among the factors that prompted a downgrade in the state’s credit rating. Kelly said those examples illustrate why selling tobacco bonds to address revenue shortfalls is a bad idea. She is among a bipartisan group of lawmakers who want to revisit the income tax cuts that Brownback pushed through the Legislature in 2012. Haley Pollock, spokeswoman for Kansas Action for Children, said the advocacy group is concerned securitization would result in selling the tobacco settlement for “far below” its value, and that the upfront payment likely wouldn’t be used for children’s programs. “Given the state's perpetual fiscal crisis, these funds would likely be depleted quickly (assuming no tax policy changes) and all future revenue for early childhood programs in Kansas would likely be lost,” she said. But others say a securitization deal could be a responsible way to shore up the budget. Steve Weatherford headed KDFA during the administrations of Democratic governors Kathleen Sebelius and Mark Parkinson. He said decisions about securitizing income come down to weighing priorities. A state, group or individual with a long-term source of income must consider what it could do with an upfront payment versus what an ongoing stream of income could fund, he said. Jim McLean is executive editor of KHI News Service in Topeka, a partner in the Heartland Health Monitor team. A leading child advocate has obtained a document that she says confirms state officials are considering a deal to securitize the state’s tobacco settlement payments. 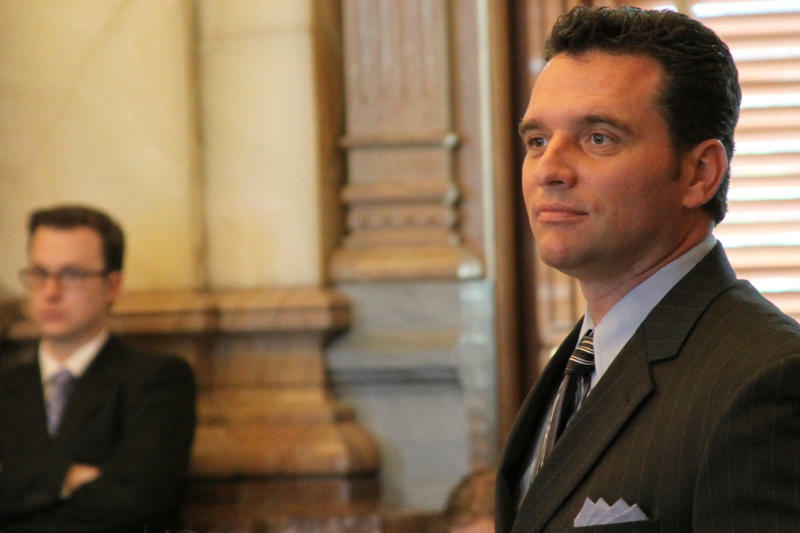 Shannon Cotsoradis, president of the nonprofit advocacy group Kansas Action for Children, raised concerns about a possible securitization deal earlier in the week in testimony to a Senate committee. At the time, she said a reliable source had told her that officials in Gov. Sam Brownback’s administration had discussed bonding future settlement payments in exchange for a one-time cash payment. No one speaking Tuesday to the Senate Ways and Means Committee argued the Legislature could be trusted to direct funds to their intended purpose. The only question was what arrangement would make it least likely that lawmakers would use funds for children’s programs, highways and other designated purpose instead to plug holes in the state general fund budget.